Teeth are the hardest structures in our body. 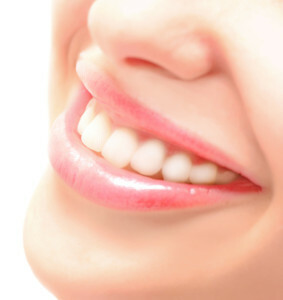 For healthy teeth and gums, a good mixture of calcium, vitamin D and phosphorous are important. These nutrients work together to provide strength to young teeth and give adult teeth protection from disease as we grow older. Calcium, which is a mineral, is the main component of our teeth, which accounts for about 70% of each tooth. Dentin, the hard, bony tissue beneath the enamel, and the enamel, the hard outer layer of each tooth, are composed of mainly calcium in addition to other nutrients. Calcium is needed at all ages, but is very important during formation of teeth which is in the womb! After the baby is born, the calcium will be consumed in milk and supplementary foods. Kids may develop cavities if enough calcium is not acquired through nutrition. Calcium is important not only during early age, but throughout our life. We lose bone mass with age which affects our jawline also. The adult teeth are not developing any more but they need to be maintained. They need to be protected against decay and disease. Calcium cannot work alone. It needs Vitamin D to be absorbed in the body. It acts as a catalyst so that the bones in our body absorb calcium easily. In tandem with calcium it helps out teeth grow and become strong. It also helps keep our gums disease free like gingivitis. Vitamin D is produced in our skin with the help of ultraviolet light from the sun. Vitamin D can be taken from certain vegetables and fruits and is also available as a supplement. Phosphorous serves an important function too with calcium and Vitamin D to keep our teeth, gums and jaws strong. Without phosphorous, the calcium in our body goes waste. Phosphorous deficiency leads to chipping and breaking of teeth in children and adults. Phosphorous is found aplenty in our body. Roughly 85% of it is found in bones and teeth alone. The problem of phosphorous intake in our body is its abundance. The ratio for calcium to phosphorous in our blood is somewhat like 2 ½ -1. When its level increases in our blood due to certain ailments like diabetes, or celiac disease, and because of certain medications, extra phosphorous accumulates in the blood. To balance this situation the body takes more calcium from the bones, making the bones and teeth susceptible to disease. Keeping in mind the role of calcium, Vitamin D and Phosphorous for healthy bones and teeth, we should try to keep a balance of all these nutrients in our body. Calcium deficiency leads to weak bones and teeth. Overdose of calcium also leads to gum disease as extra calcium leads to plaque deposits on teeth. Vitamin D deficiency leads to lack of calcium absorption in the bones, leading to weak bones and teeth and gum diseases.Overdose of vitamin D builds up extra calcium levels in the blood leading to nausea constipation, confusion, and kidney stones. Phosphorous deficiency leads to weak bones and teeth, joint pain and loss of appetite.Overdose of phosphorous leads to calcium being drawn to blood from bones leading to weak and brittle bones. Calcium: Milk and milk products, dark leafy vegetables, fish and grains. Phosphorous: Eggs, meat, nuts, whole grains dry fruits, garlic. Oral health is very important to develop healthy teeth and gums and to keep away diseases of the mouth. To keep oral health, one must consume a healthy diet and see the dentist regularly. When you are taking medications or supplements for any ailments, it is important to inform your dentist, so he can advise you to balance your nutrients intake appropriately for good oral health and keep away oral diseases.